Ruthiebear (Titusville, NJ, United States) on 6 July 2017 in Transportation. Joli traitement, on dirait une photo ancienne. beautiful love the tone here ! Fantastic picture, sepia is well chosen for this picture. A treatment that brings a touch of yesteryear ! Espléndida vista, con genial composición. ***** Buenos días. Excellent sepia image of this Case tractor. Well taken. He looks proud of the tractor ! Bonjour douce Ruth, superbe, quelle magnifiques photo!!! Bise, bonne journée dans la joie! Wonderful sepia treatment and impressive tractor! Beautiful sepia tones to give this shot a certain vintageness to it!! Un très beau tracteur ! J'aime le mode sépia ici ! Here they are ...Superb capture and tones . Stunning sepia image. Fantastic mood. Quel tracteur quel ancienne machine et cette maison sueprbe. The color cast of the image gives it a nostalgic look. A fine picture. A lovely shot of this old tractor. Nice compo and interesting tractor here! Lovely sepia tones for this beautiful capture! Un beau vieux tracteur très bien entretenu. That is a great looking tractor! Beautifully photographed. Gorgeous tones! 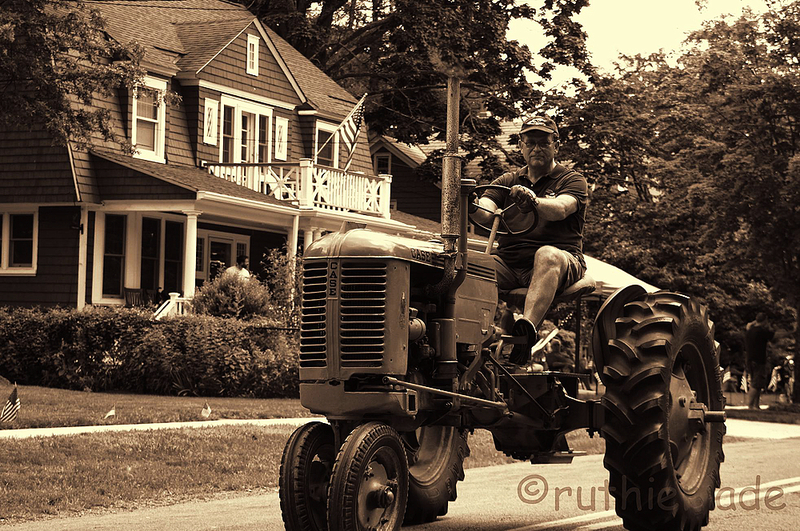 I once saw a parade in Texas - not a tractor in a parade but a whole parade of tractors. It was so fun to see. I love old farm equipment. That is a beauty. might as well have some fun with your tools! I'm impressed by the narrowness of the front axle ! I love the old time "feel" of this one, it's a good edit.